Find out how to become a delibierate creator! In this video, Abraham-Hicks is coaching on The Art of Allowing. You will learn to pay attention to your feelings to decide whether you are moving upstream, away from your dreams, or downstream, towards your dreams. Don’t forget to read the summary below the video! 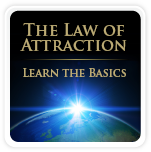 The Law of Attraction is the basis, and The Art of Allowing is the process. The Art of Allowing is the key to manifesting your dreams. It is about letting go of your inner resistance so The Law of Attraction can work for you. 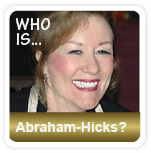 Abraham-Hicks is using the metaphors downstream and upstream to explain The Art of Allowing. When you experience contrast through life and give birth to a new desire, the non-physical part of you rides that “rocket of desire” and becomes it. That is what the feeling of excitement and expectation is. 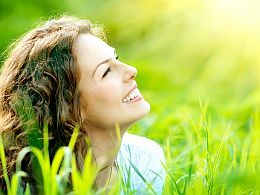 When you are feeling these positive emotions, you are moving downstream towards your dreams. When you relax and allow yourself to go with that flow, everything that you want will begin to show up in your experience. When you feel good, you allow yourself to become everything that you already are in your non-physical form; all that you have been asking for. When you relax and “go with the flow”, you move downstream. Whenever you feel good, you move downstream towards everything that you have been asking for. When you follow your inspiration and think positive thoughts, you feel good and thereby allow your dreams to come true, and this is really what The Art of Allowing is all about. Unfortunately, most of us have been taught that we have to struggle and work hard if we want to achieve our dreams. When you struggle or think negative thoughts, you feel negative emotions and move upstream, away from your dreams. When you feel bad, you don’t allow yourself to become everything that you already are in your non-physical form; all that you have been asking for. Whenever you feel bad, you move upstream and according to The Law of Attraction, you will never be the receiver of your dreams if you keep this resistance within you. The contrasts in your life experience, have made you ask, everyday throughout your whole life. Life causes you to ask and Source Energy becomes the answer vibrationally, and when you align with your broader non-physical part of you that already has become the answer, The Law of Attraction will respond and manifestation will take place. If you don’t align with Source Energy and thereby hold yourself from what you already have become, you feel resistance within you and you feel bad. If you keep resisting, the river will flow faster and faster. The gap between who you allow yourself to be and who you have become in your non-physical you, will get bigger. The longer you resist and hold yourself from who you have become the more awful you will feel. In time, it will feel worse and worse. You will feel bad emotionally and physically as well. We feel pain and get sick because of our resistance within ourselves; because we haven’t learned The Art of Allowing. Everything you want is downstream, and nothing that you want is upstream. If you want changes in your life and become the receiver of your dreams, you will have to start doing things differently. You will have to start coaching yourself away from your upstream habits and start practicing The Art of Allowing. It is about letting go of those oars that you use when you are paddling upstream; when you think negative thoughts and struggle through life. It’s easy to let go of the oars when you know that everything you want is downstream. Abraham-Hicks assures us that creation through action is mediocre at best, in terms of results it brings to you. Creation through alignment with Source Energy is where all the masters and all the people you look up to, have found their place. Abraham-Hicks wants us to understand that we must align with Source Energy; the power that creates worlds, if we want to be magnificent creators. Your inner Guidance System tells if you are in alignment with Source Energy, or not. We were all born with a Guidance System. It will easily let you know if the thought you are choosing, or if the words you are speaking right now, are upstream by its nature or down stream. Your Guidance System is telling whether or not you are practicing The Art of Allowing. Whenever you feel good, you are in alignment. Whenever you feel bad, you are not in alignment with Source Energy, and can therefore not be the receiver of your dreams. Your feelings will let you know if you are going toward what you want or away from what you want; toward who you really are or away from who you really are. If you want to utilize the Guidance System that you were born with, you must know, every moment, if your thought is upstream or downstream. The next step is to make your thoughts and feelings more downstream. Ask yourself what you can do to soften your resistance. Trying harder is the wrong answer. Instead, to soften your resistance, you must let go of the oars and trust the process of The Art of Allowing. Abraham-Hicks is coaching about this process in the books “Ask and It Is Given” and “The Astonishing Power of Emotions: Let Your Feelings Be Your Guide” written by Esther and Jerry Hicks. If you are coaching yourself and want some help in changing your thoughts to feel better, these books can be of great value.